Scores of Montserratians turned out for the 27th annual Mothers Day Extravaganza on May 13th in New York. Hosted by ZJB Radio Montserrat’s Basil Chambers, the Extravaganza has been described by attendees as truly a night of excellence. During the fabulous ceremony, four Montserratians who have made remarkable contributions to the Montserrat community were recognized. 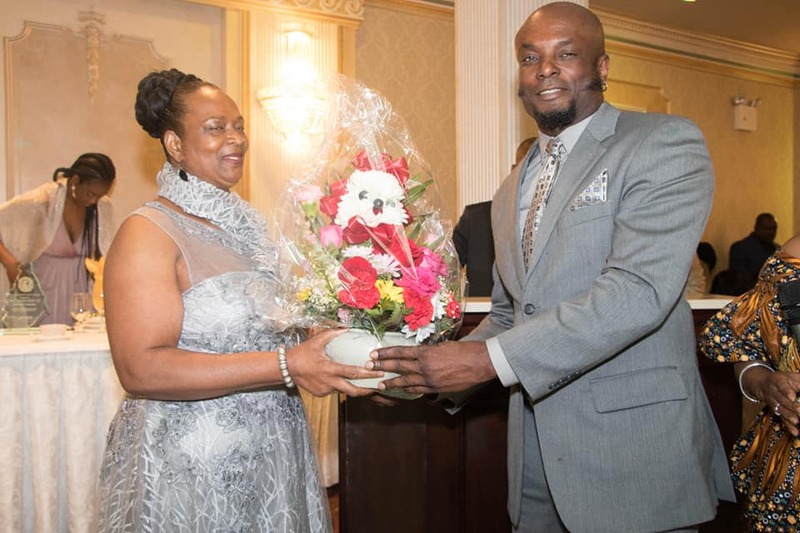 Mrs. Ruthlyn Semper, a Mother of two and Nurse specializing in Patient Care was the 2018 Mother of the Year Recipient. The Herbert B Samuel Achievement Presidential Award was presented to Wilford ‘Moose’ Meade for his kindness and generousity as well as for making a contribution to the private sector of Montserrat both Pre and Post Volcano. Lousille Ozward Carty affectionately known as ‘Ozzie’ was the 2018 recipient of the Emily C Martinez Service Award for his generosity to the Montserrat Community and in particular to Senior Citizens. Miss Vick Dyer, Montserrat’s most recent Centenarian was also the recipient of an award. To commemorate the Extravaganza, a booklet was published featuring congratulatory messages from His Excellency, the Governor Andrew Pearce and The Honourable Premier Donaldson Romeo.